As we receive questions, we will share the answers on this page for easy access by everyone. Any clothing item that is machine washable can be treated. For optimal protection, the treatment must dampen the entire textile surface. In addition, this treatment can be used for soft surfaces such as football, hockey, lacrosse, and soccer gear, shoes, athletic bags and more. WHAT IS THE BEST WAY TO APPLY TO CLOTHING? Mix InvisiArmor SPORT with 3% Hydrogen Peroxide in Mixing Bottle and attach Red Tip. Place clean, dry piece of clothing in clean sink. Apply onto garment until thoroughly wet. Hang Dry. Wear Garment. WHAT IS THE BEST WAY TO APPLY TO GEAR? Mix InvisiArmor SPORT with 3% Hydrogen Peroxide in Mixing Bottle and attach Sprayer. Spray Product directly onto gear. Be careful of overspray. Allow gear to Air Dry. Use Gear. Hydrogen Peroxide is arguably the most eco-friendly, effective antimicrobial today. 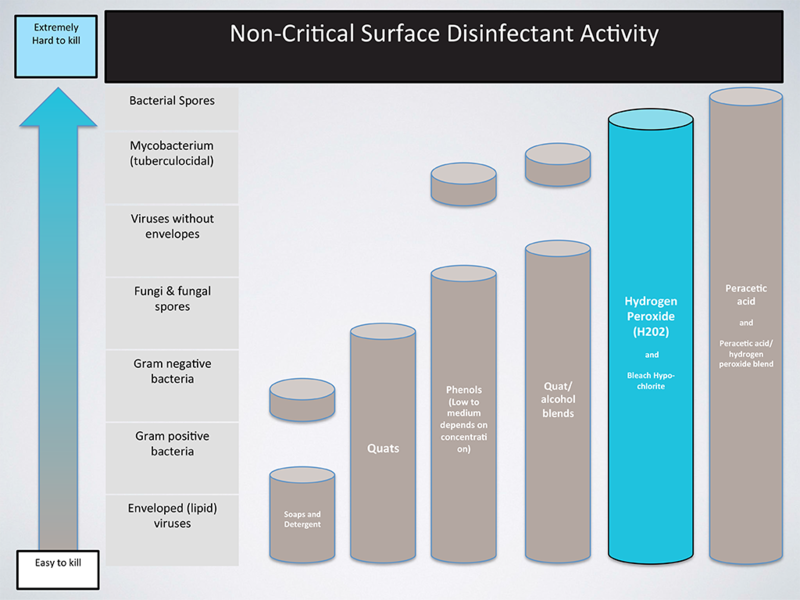 Its ability to kill some of the most dangerous germs and viruses exceeds most other antimicrobials. How many batches will one Sport Treatment bottle make? Each 1.5-ounce bottle of DE-Stink Treatment provides one (1) batch of solution when mixed with 16 ounces of 3% hydrogen peroxide. How do I figure out the right weight of clothing to treat? *Weights are approximate and may vary by manufacturer. Treatment requires that garment be thoroughly soaked. Your clothes will smell fresh and clean for about 20 launderings after they are treated, even if you only wash them once a week! Do I have to launder these clothes after each wearing? No. They will smell fresh even after multiple wearings, so you can decide when to wash them. Many athletes wear their workout clothes for five days or more, so we recommend laundering them at least once a week. Why is InvisiArmor SPORT treatment so effective against odor? Because, unlike some products, it works by killing the odor-causing bacteria on your clothes AND by capturing any potential odor-causing molecules, rather than by merely masking the odors. What can I do if my treated clothes are wrinkled? You can place dry treated garments in a dryer on low heat and tumble to fluff out the wrinkles.